Are You Newcomer Or Immigrant To Ontario? Every day we talk to new drivers – new to Ontario – who are looking for affordable auto insurance. They’re frustrated because sometimes the Ontario driving system doesn’t give newcomers or immigrants credit for their driving experience. It feels like going backwards. Sometimes the process of getting a full license seems slow or unfair. Insurance providers have to work within the government’s driving system. This means that they have to set rates according to how the government has recognized your driving and your license. We’re here to offer you tips to lower your costs and was to make the process faster. Taking your driving history out of the process does impact your car insurance rates. But we’re here to help. We’ve got insurance tips and driving advice so you can get your insurance rates to where you want them to be. We can get you quotes from 40+ insurance companies. And it pays to compare prices. Rates for car insurance differ between providers so getting quotes from a few will get the lowest price for you. Our licensed brokers will offer professional advice based on their experience and training. Our brokers will spend time with you, explaining the ins and outs of car insurance. You’ll feel confident that you have only what you need. Compare quotes for New Drivers Car Insurance or call toll-free 1-855-550-5515 and one of our friendly brokers will be happy to help you. When Do You Need To Get An Ontario Drivers License? How Do You Switch Your Drivers License? You must go in-person. You can’t apply online. Apply at a Drive Test Centre location or at a Service Ontario College location. What Do You Need To Do To Switch Drivers License? Show your original, valid out-of-province/foreign driver’s license. Show original supporting documents that show proof of your driving experience. Depending on your situation, the government may want you to write a test or take a road test, before you get a full G license. What Countries Can You Switch Your License From To Get An Ontario License? What If You Can’t Switch Your License (your country is not on the list)? You might be able to get reductions in mandatory tests and wait time prerequisites. You must still take an eye test. You must take the knowledge test. Read more about conditions for new drivers here. How Do You Get Credit For Driving Experience Outside Of Ontario? Read more about applying for driving experience here. Get a referral from your previous insurance company : They can write a letter to confirm that you have a clean driving record and no history of speeding tickets. This will help with your car insurance rates! Shop and compare quotes on car insurance : Get quotes from a few insurance companies. You will find that there can be a difference between providers. Check insurance rates before you buy a car : Ask your broker whether your car is expensive to insure. Rates on cars are connected to if it’s a model that is stolen often or in accidents more than other makes and models. Get your G License as soon as you can : Make sure to find out if you can reduce your time as a G1 or G2 driver. Take a driver training course :Even if you have driving experience, take a government approved driving course. Passing a driving course in Ontario shows that you are educated on the rules and etiquette of the road here. Avoid speeding tickets or distracted driving tickets : Keep your driving record clean and your rates will reflect your good driving habits. Take advantage of loyalty and multi-product discounts : If you renew your car insurance policy, your provider may offer you a loyalty discount. And if you have your car and home together with the same insurer, you may get a multi-product (or multi-vehicle) discount. Ask your broker about the car insurance discounts they can offer you. Ask about Usage Based Insurance Programs : These programs offer sign-up discounts and reward good driving behaviors with additional savings. Some drivers can save up to 25%. ThinkInsure is here to help newcomers and new drivers in Ontario to find the best car insurance rates available. We’ll listen to your unique situation and offer tips and advice so you can rest easy that you have gotten the best possible rates. 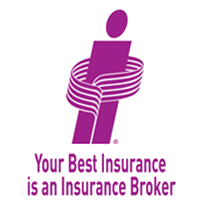 Get an Online Quick Quote or call 1-855-550-5515 and talk to a friendly and knowledgeable ThinInsure broker. You could save hundreds on your New Driver car insurance!